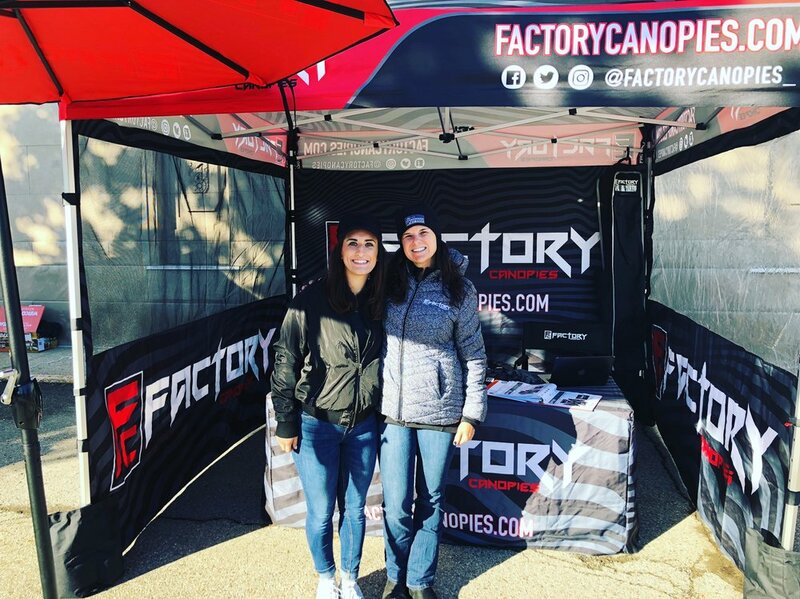 The Factory Canopies Team is a combination of highly experienced event people from all walks of life and location. Together this team has been involved in almost every type of large scale event, motorsports, merchandising and marketing. Our collective goal is to be your go to company when you need to showcase you company, brand, organization. And we can do this because we have been in your shoes. We know what it like to set up at an event at 4 AM or tear down in the middle of the night in weather. We have been the ones who have transported event marketing items across the country weekend after weekend. Let us help you! Give us a call and we can talk you through all you options and bring your ideas to life with our talented pool of designers. Sign up with your email address to receive news, event updates and product specials!